AUGUST 22, 2012 — “In this morning’s press conference regarding characterization of Dr. Graham Spanier within the Freeh Report, his attorney, the Honorable Timothy Lewis, a former United States federal judge, could have no more clearly stated the position of Penn Staters for Responsible Stewardship when he said, ‘Penn State University deserved better and the Commonwealth of Pennsylvania deserved better.’ We would add, that under the leadership of the Board of Trustees, specifically the students, parents and alumni of Penn State also have deserved far better. Every criticism articulated by Judge Lewis today should have been obvious to each and every member of the Board of Trustees when — and if — they reviewed the Freeh Report in detail. PS4RS will itself be issuing a comprehensive analysis of the errors, unsupported conclusions, and misstatements of the Freeh report in mid-September. 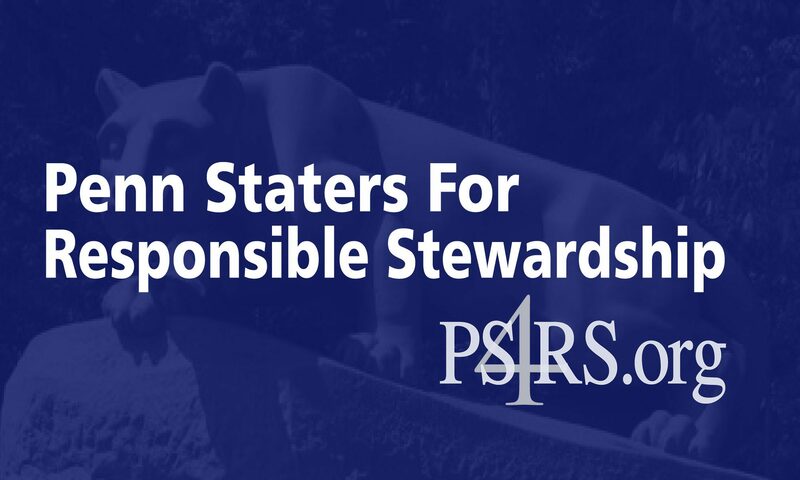 That analysis, conducted by the PS4RS Legal and Regulatory Task Force, will further outline the failure of the Board of Trustees in their stewardship of the University.